This vanity has a large usable surface, a pair of draining soap dishes, and a large vessel. The design is minimal with lines that can compliment a wide variety of aesthetics. Originally made as a custom product for a family in Massachusetts. This corner sink has a simple form with modern lines. 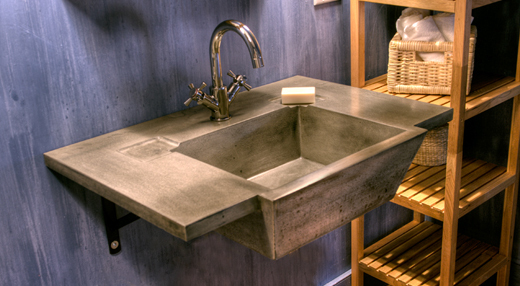 By taking up only 13″ on each side of the corner this sink can fit in tight spaces. 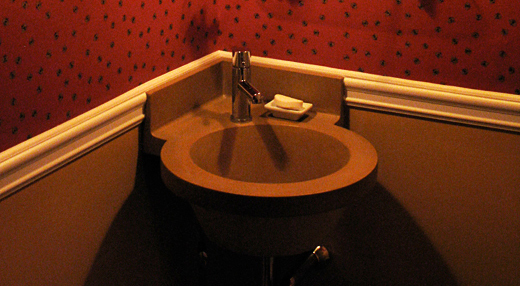 It’s traditional 12″ vessel makes this corner sink larger than most and a perfect slope makes this sink drain perfectly. The chamfered corners of this large farmhouse sink add detail whether under-mounted or used in the more traditional apron front manner. The design is fully considered, with a carefully shaped base for efficient draining. The progressive form of this sink adds a modern sleek element to any wash room. 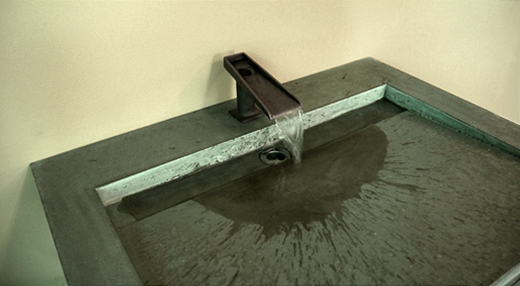 The oversized drain ’slope’ catches the water and delivers it over a waterfall to the drain. The design promotes the idea that the way the water travels over a sink can be as intriguing as the sink itself. 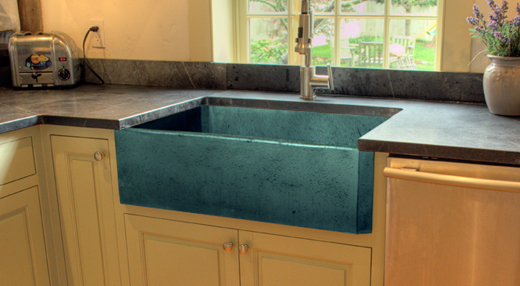 Vessel sinks have gained prominence in the design community as an intriguing alternative to the more traditional recessed sink. 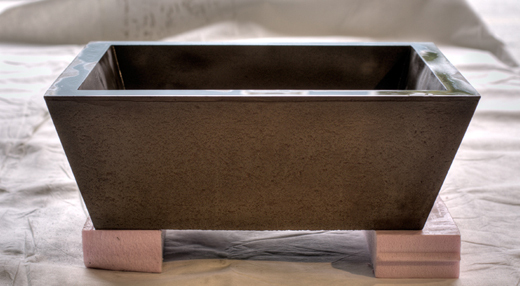 As with all our sinks the vessel is available in a variety of colors. A truly comfortable concrete bench that seats 3. Arms are available upon requests. We spent a great deal of time designing what we think is the most comfortable concrete bench available. For use as a candle holder, planter or what ever your heart desires. 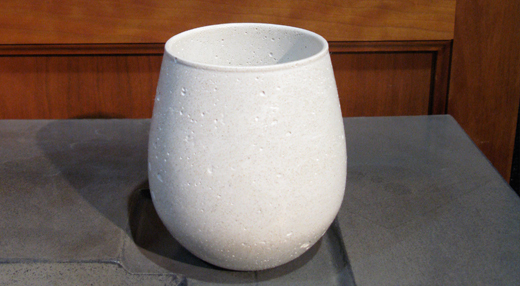 Pushing the boundaries of concrete is our goal and this is our first effort to create thin cast vessels. Enjoy! 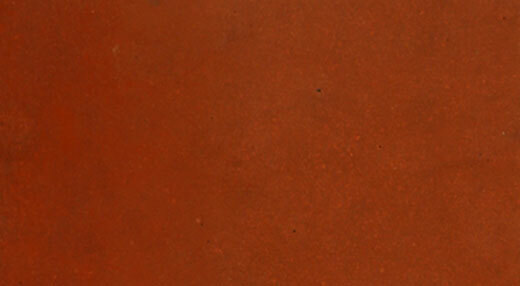 Purchase a color sample to ensure a perfect fit in your own space.